Jason Momoa is set to star as Aquaman in the upcoming Warner Bros. film, and today a video hit Instagram showing some of his preparation for the role. Momoa is no stranger to action scenes, having played the warrior Khal Drogo in the HBO series Game of Thrones and having starred in Conan the Barbarian. 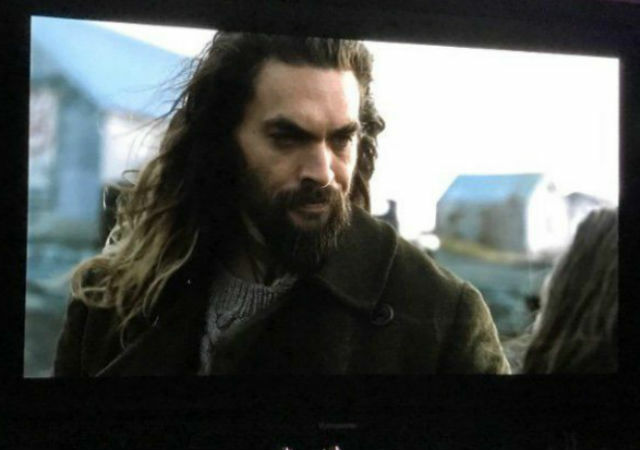 The film, based on the DC character, is giving us a very different look at the King of Atlantis. Momoa recently joked about being teased for playing the character which has often been derided by comic book fans. The Instagram video posted by user doordie shows Momoa and a few other men battling with wooden sticks. The post mentions sword skills, though Aquaman is usually seen with a trident. The rehearsal took place at stunt company 87eleven Action Design, which has worked on films like John Wick 2, Expendables 3, The Hunger Games and Jurassic World. It was started by John Wick directors Chad Stahelski and David Leitch. Aquaman will reportedly begin filming this coming summer. Aquaman also stars Amber Heard as Mera, Patrick Wilson as Orn, Yahya Abdul-Mateen II as Black Manta, Nicole Kidman as Atlanna, Temuera Morrison as Aquaman’s human father, and Willem Dafoe as Nuidis Vulko. The character was first introduced to the live-action DC Cinematic Universe in a cameo in Batman v Superman: Dawn of Justice, and will next be seen in Justice League, which hits theaters on November 17, 2017. Aquaman will be released on October 5, 2018.